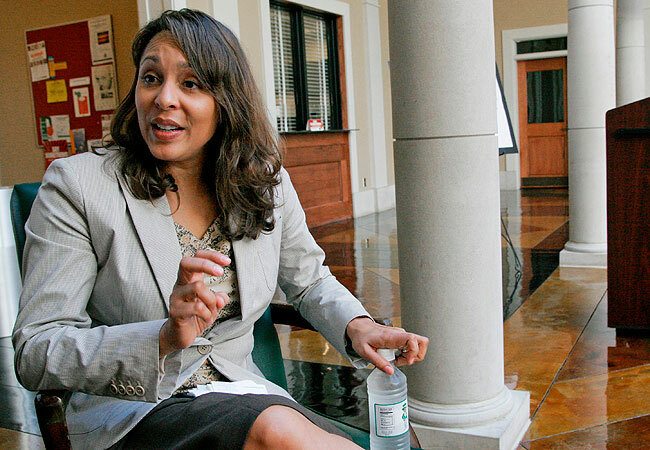 (WASHINGTON) Natasha Trethewey began writing poems after a personal tragedy. While Trethewey was a college freshman, her mother was killed by a stepfather Trethewey had long feared. Trethewey, 46, an English and creative writing professor at Emory University in Atlanta, has been named the 19th U.S. poet laureate Thursday. The Pulitzer Prize winner is the nation’s first poet laureate to hail from the South since the initial one — Robert Penn Warren — was named by the Library of Congress in 1986. She is also Mississippi’s top poet and will be the first person to serve simultaneously as a state and U.S. laureate. Trethewey won the 2007 Pulitzer Prize for her book of poems, “Native Guard.” They focused partly on history that was erased because it was never recorded. She wrote of the Louisiana Native Guard, a black Civil War regiment assigned to guard white Confederate soldiers held on Ship Island off Mississippi’s Gulf Coast. Librarian of Congress James Billington, who chose Trethewey after hearing her read at the National Book Festival in Washington, said her work explores forgotten history and the many human tragedies of the Civil War.